In 871AD the young Prince Alfred, later known as Alfred the Great, valiantly led the army of the King of Wessex to a glorious victory against the Danish Army. 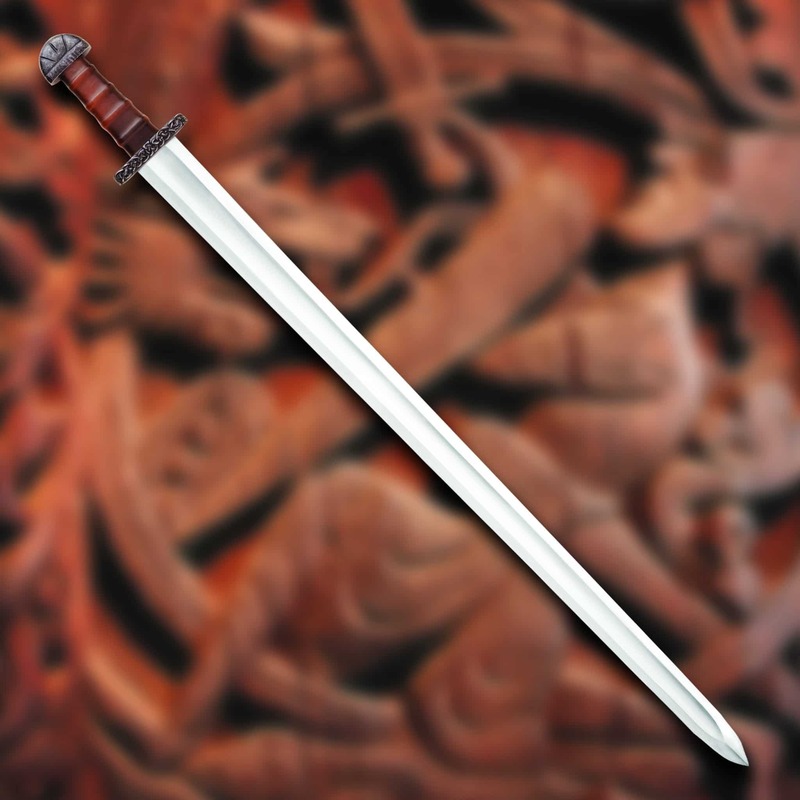 This sword signifies the main weapon used in this decisive battle. 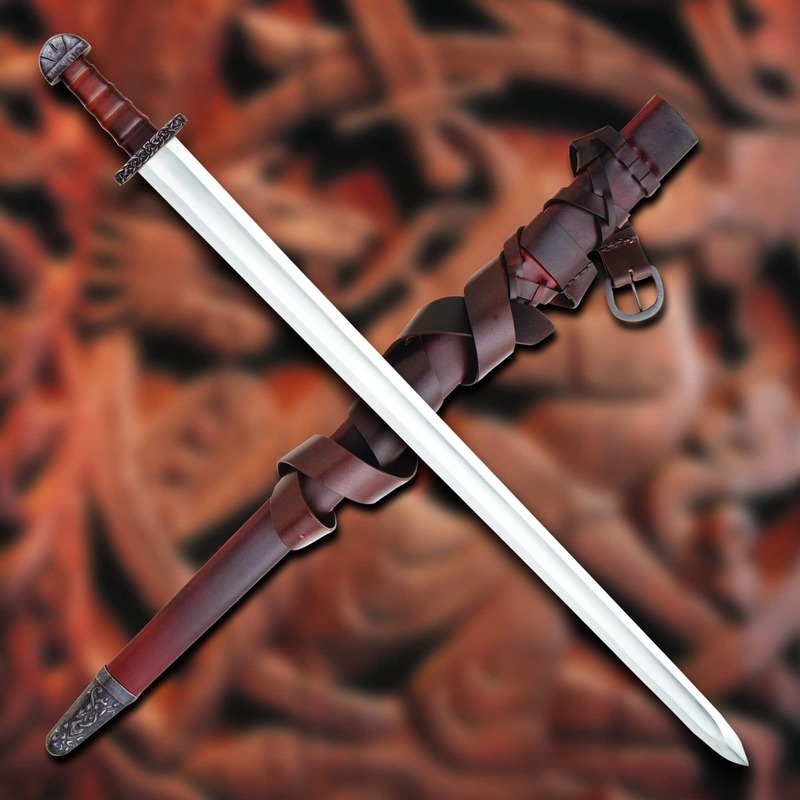 The 79cm x 4.8cm high carbon steel blade with an extra wide fuller makes the blade light and deadly. 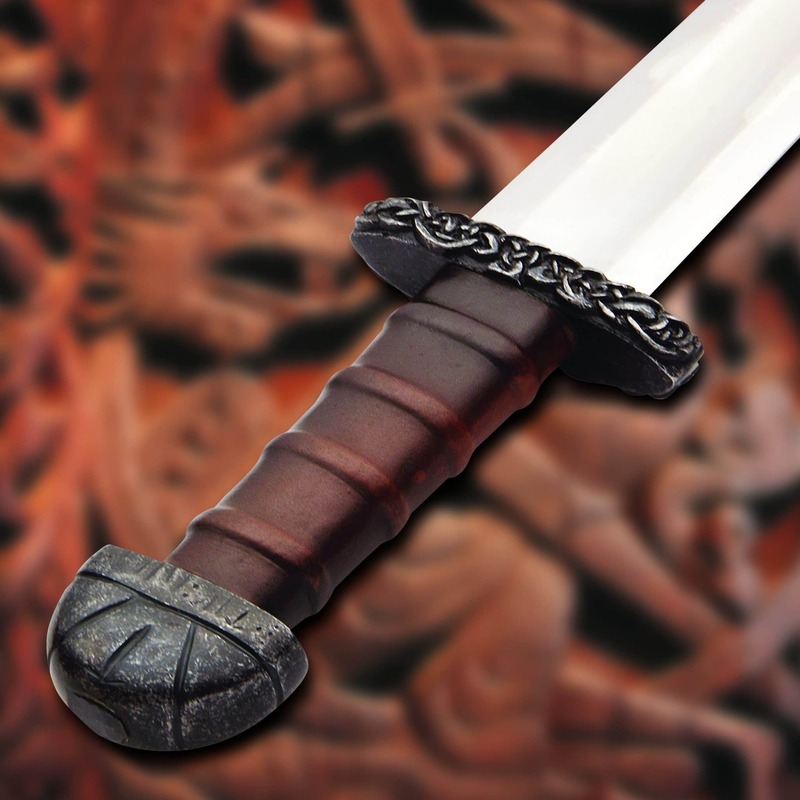 Has a lavishly decorated cross guard with raised knot work darkened to a forge finish. Soft worn leather covers the lamed wooden grip. 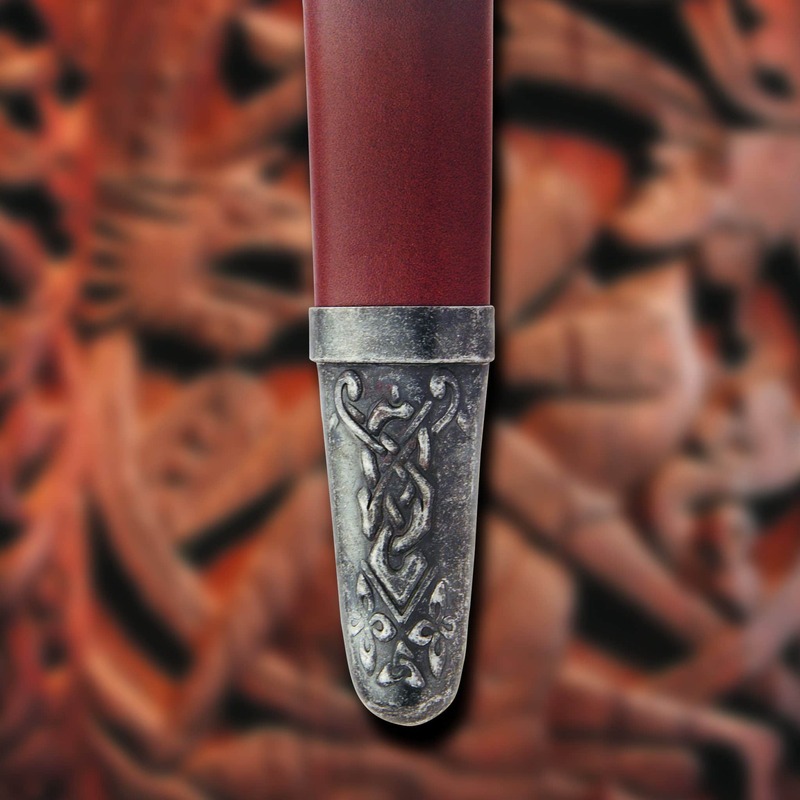 Includes a matching period leather scabbard and belt with a highly decorative metal shoe.